Oliver Evans had within him the making of a great engineer. He was born near Newport, Del., in 1755 or 1756, of farmer parentage. At fourteen he was apprenticed to a wheelwright, but continued his eager efforts to secure an education by studying by the light of burning shavings after the long work hours were ended. While still an apprentice, the idea came to him that there ought to be some way of propelling land carriages without animal power. He gave much thought to it, but made no advance until he heard of the experiment of plugging water in a gun-barrel and exploding it in a forge fire. Evans' active mind saw at once that here was the power he wanted. He met with a book that described the old atmospheric engine. He was astonished to find that they made no use of the elastic force of steam. He went at his problem with renewed ardor, and soon declared to his friends that he could make a steam-carriage, but only met ridicule on every hand. He made many experiments, and persevered for some time, but at last, when his means were exhausted, gave it up for a time. At twenty-three years of age he invented a machine for making card teeth, but was defrauded of all profit. Soon after he invented a machine for pricking the card, cutting, bending and setting the teeth, but being discouraged from his failure to derive any profit from his first invention, never built one. At twenty-five he married and went into business with his brothers, who were millers, and who appreciated his mechanical talents. He at once began that series of inventions that ultimately revolutionized the manufacture of flour. His inventions in this line included the grain elevator, the conveyor, the hopper-boy, the drill, and the descender. They effected a saving of over one half in the cost of labor, made a better flour and produced more than twenty-eight pounds of superfine flour to the bushel. Various applications of these inventions comprise about all that is used even until now for the movement of grain in the manufacture of flour. The same inventions are also at the basis of all modern systems of conveying. These inventions were made in 1783, and were so successful that his own mill ran after starting, with practically no attention. He spent thousands of dollars and four or five years of time, but his efforts to have others adopt them were at first entirely unsuccessful. 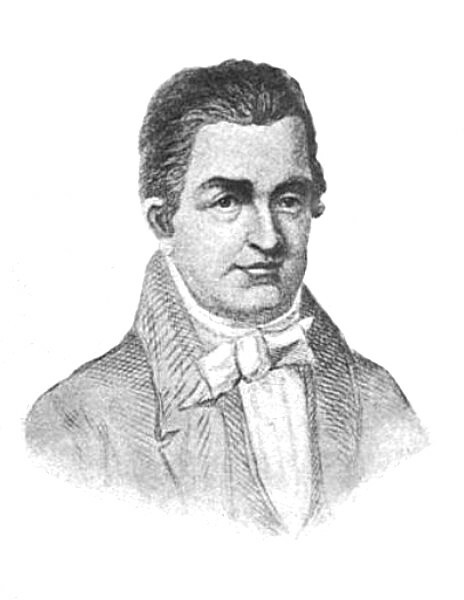 In 1786 he succeeded in securing exclusive rights in the states of Pennsylvania and Maryland. To facilitate the sale of these licenses he wrote his first book, "The Millwright and Miller's Guide." Not many were sold, but a great many were distributed. His agents traveled during the next thirteen years over 100,000 miles, selling these licenses. At first they had small success. The inventions were called "rattle-traps," and one old German is reported saying, "Now dis mus peen sum tamp lazy fellow to mak dem gondrivers." His was one of the three patents granted the first year of the national patent law, but the patent had expired before any amount of business had been realized. Through some technicality he was denied a reissue, and millers at once began to adopt it. After a full hearing, in 1808, he received a reissue of his patent, and greatly increased the charge for using. These things involved him in many and costly law-suits, but toward the end the patents were profitable. When he asked for the exclusive rights to his milling inventions, in 1786, he asked also for protection in building steam road-wagons. Pennsylvania ignored the request as being too visionary for attention. Maryland granted it on the plea of only one man, who said that no one else wanted the right and it could do no possible harm. In the years that followed he diligently sought some one to supply the means. He showed drawings and explained his plans to a number of men, capitalists and scientists, but in vain. Some time during these years he sent an agent to England with drawings of his engine. They were shown to a number of men interested, but failed to secure financial assistance. In 1801 he decided to build an engine at his own expense, and before it was done it had cost him $3,700 and financially ruined him. It had a six-inch cylinder and eighteen-inch stroke; was set up in public view, and used to grind plaster and saw marble. It was a mechanical success and permanently identified him with the steam engine industry. In 1802 he received an order to build an engine to run a boat which was being built at New Orleans. It was built and installed, but the boat was almost at once stranded by floods in an inaccessible place. This ended the project, with a loss of some $15,000. The engine was removed and used to run a saw-mill successfully until the mill was burnt by incendiaries. Ten years later it was used to run a cotton-press. In 1803 Evans began business regularly as a builder of steam engines. One of his first orders was from the municipality for a steam-dredger to clean the docks. As his shop was some mile and a half from the river, he decided to mount the scow on wheels and run it as a steam wagon as far as the river. This was done, and for several days it was on exhibition running about one of the public squares. Evans has the honor, therefore, of making the first successful steam-wagon, in 1804. It was a crude affair, with a cylinder of only five inches and nineteen-inch stroke. When afloat he substituted a paddle-wheel at the stern, and at once the boat started off and had no difficulty in passing all other craft on the river. The engine was far too small for the load, and hence the speed was not enough to convince scoffers as to its usefulness, but Evans offered, on a wager of $3,000, to construct a road-wagon that would run on a good, level road against the swiftest horse they could produce. He also tried to make a contract with a turnpike company to construct a steam freight-wagon to run either on the best roadbed or on rails, but both efforts failed to awaken interest. At this time, about 1805, he began writing his second book, "The Young Engineer's Guide." It was intended to be very complete and "abstruse," but as his engine ventures nearly ruined him for the second time, he abbreviated it and called it "The Abortion of the Young Engineer's Guide." It suggested proportions for a steam engine as follows: Cylinder, twenty inches diameter, five feet stroke, running under a boiler pressure of 194 to 220 pounds per square inch, and gave certain rules for cutoff. It recommended a cast-iron boiler three feet in diameter, and twenty feet long, with fire at one end, returning through a single internal flue. The Columbian engine was afterward built on these proportions. In 1807 he established the Mars works for the construction of steam engines, and by 1812 records ten engines in use, and in 1816 speaks of fifty. He wrote also two or three "Addresses" to the people of the United States that reveal the straits to which he was reduced at times. In one of these he says that he destroyed at one time, in sheer discouragement, the drawings and records of eighty inventions. In 1819 his machine shop and foundry was burned by an incendiary, a boy of twenty. The news of it hastened his death. It is to be regretted that Oliver Evans failed to receive the financial support that he desired and needed to produce a road-wagon or steamboat according to his ideas; it is to be regretted, because Oliver Evans exhibited in all the work that he did produce, an exceptional mechanical judgment. He probably would not have produced a perfect locomotive or steam boat but he would have done something creditable and have hastened the coming of the practical. When we remember that he lived at the very beginnings of the use of power machinery, that he was poor and was thwarted at every advance by the selfish conservatism of the capitalists of his day, we can appreciate the obstacles against which he struggled and understand the comparatively small measure of fame that has been his reward. "Wherever the steam-mill resounds with the hum of industry, whether grinding flour on his native Schuylkill or cutting logs in Oregon, there do you find a monument to the memory of Oliver Evans."